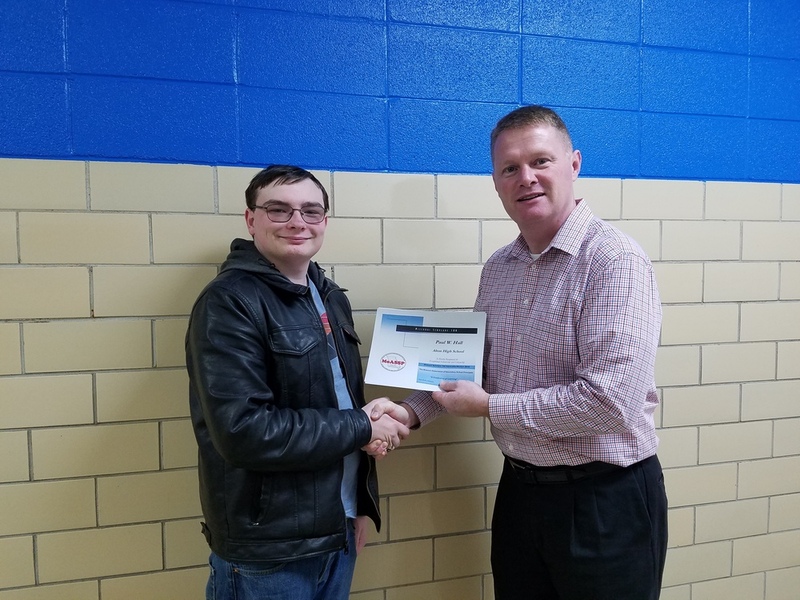 High School senior Paul W. Hall of Alton High School has been selected an "Honorable Mention" student in the 2018 Missouri Scholars 100, a statewide program that honors 100 of Missouri's top academic students in the graduating class of 2018. The announcement was made by Joby Steele, principal at Alton High School, RR 72 Box 2180, Alton, MO 65606. Missouri Scholars 100 is a program sponsored by the Missouri Association of Secondary School Principals. Schools across Missouri were invited to nominate candidates for this statewide recognition. The selection is based primarily on a formula using the student's grade point average and ACT or SAT score. Each student nominated had to first meet criteria of an "Academic Decathlon," which included ten "events" designed to assure the academic strength of the student. To meet the decathlon requirements, the student must have a minimum GPA of 3.750, a minimum ACT score of 29 or a minimum SAT score of 1280, be ranked in the upper ten percent of the class, and have taken upper level courses in mathematics, science, English and foreign language. The student must also have excellent attendance, be an exemplary school citizen, and be involved in the school activity program. Phil Lewis, Executive Director of the principals' association, said, "Students who are selected to this program have taken a rigorous course of study and have maintained the highest academic standards. The Missouri Association of Secondary School Principals wants to celebrate the achievement and success of these students and their schools." The Alton School District extends congratulations to Paul Walker for this achievement.